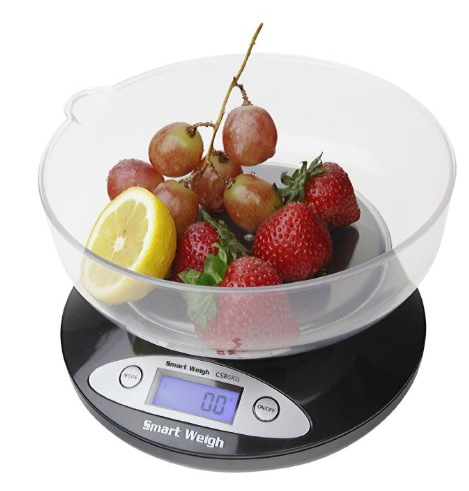 Digital Scale With Removable Bowl Only $13.22 + FREE Prime Shipping! You are here: Home / Great Deals / Amazon Deals / Digital Scale With Removable Bowl Only $13.22 + FREE Prime Shipping! Keep track of your food intake much more easily with this kitchen scale – get this Digital Scale with Removable Bowl for $13.22 (reg. $25)! And, shipping is FREE with Amazon Prime or Super Saver Shipping! I’ve been needing a scale for my kitchen, so I’m grabbing this one. It’s highly rated and will definitely work for measuring out my food!